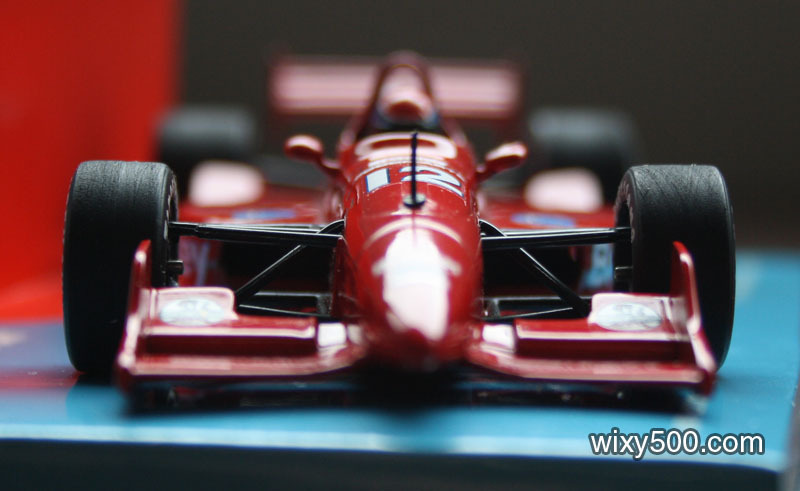 I picked this up on ebay the other day – a model of the winner of the first ever IRL (Indy Racing League) race, the Indy 200 at Walt Disney World Speedway back in 1996. Well, that’s what I assume this model is representing. Driven by Buzz Calkins (Bradley Calkins Jnr) to victory, it was to be Buzz’s one and only IRL race win. Buzz ended up co-winner of the inaugural 3-round IRL series, equal on points with Scott Sharp. 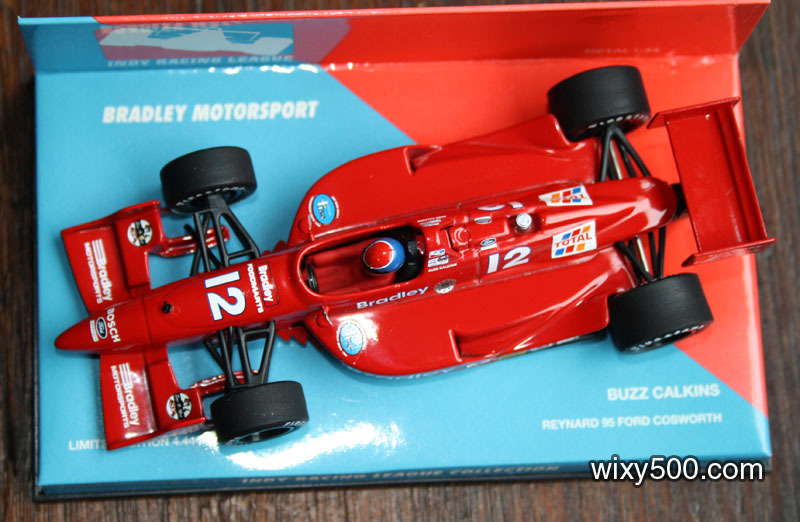 The model is a Limited Edition (4,444 pieces) 1/43 Minichamps diecast, item #521 964312 “Reynard 96 Road Course” it says on the barcode sticker. 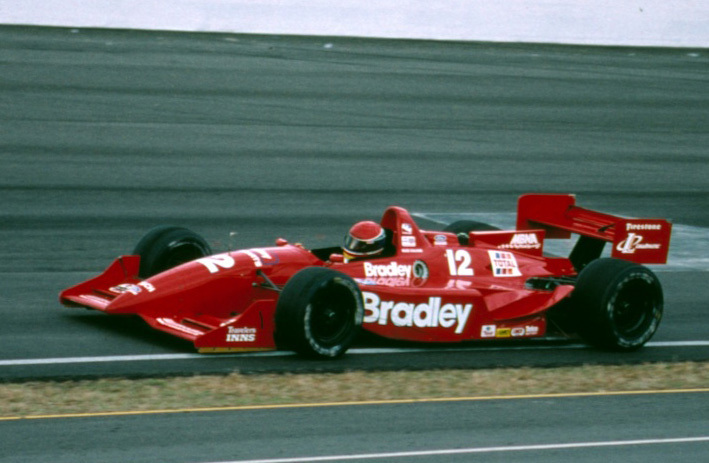 Thing is, IRL never raced on road courses in those days. 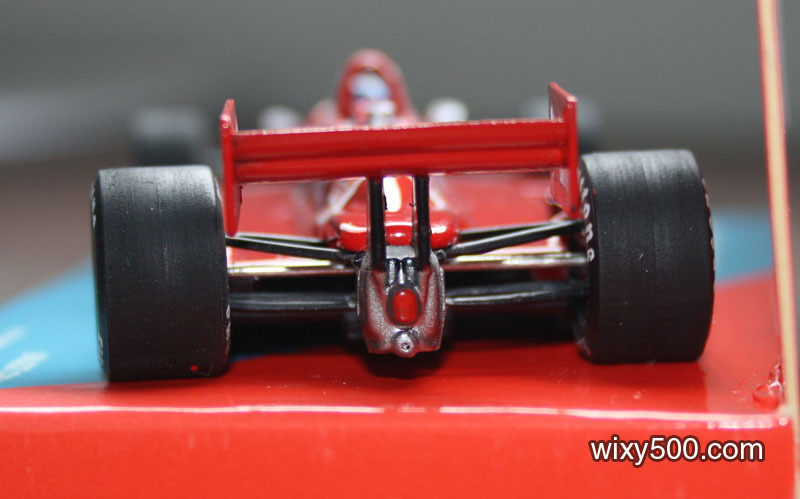 I assume Minichamps used this casting because at the Walt Disney race the cars were fitted with big wings, and the wings on the road course casting are not dissimilar. 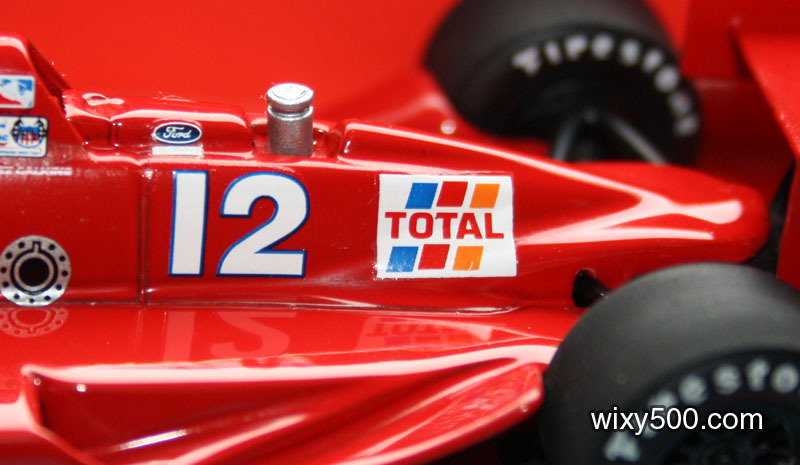 Decals and markings on the model generally match up with photos from the event. 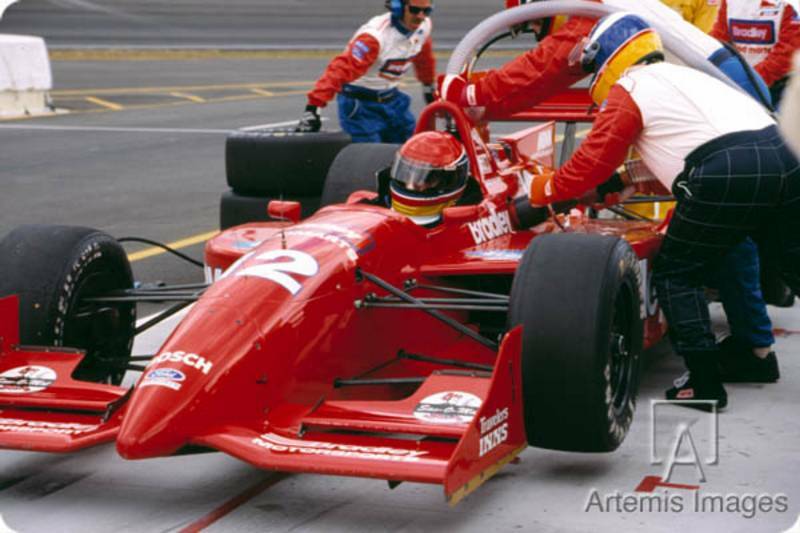 The casting is a 1995 Reynard/Cosworth, which is actually what Calkins raced (IRL mandated the use of older chassis). However, there are some differences to photos and video from the event, most notably the vertical engine cover fin and sidepod openings. 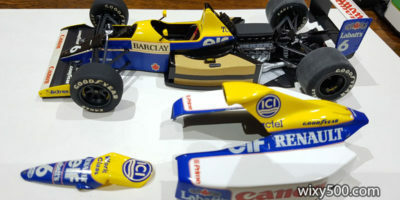 The model is a typical example of Minichamps at the time – sold build, decent paint and the use of decals for decoration. But it does have an assembly issue (see photo) and a couple of the decals had lifted or were cracked. Best thing about this, it was just $20! Sure, the case was badly scuffed, but at that price, I’d be happy to buy many more! 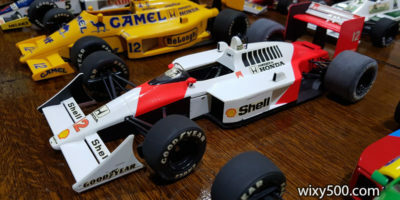 Minichamps have also done a 1:18 version of this car. Top view. 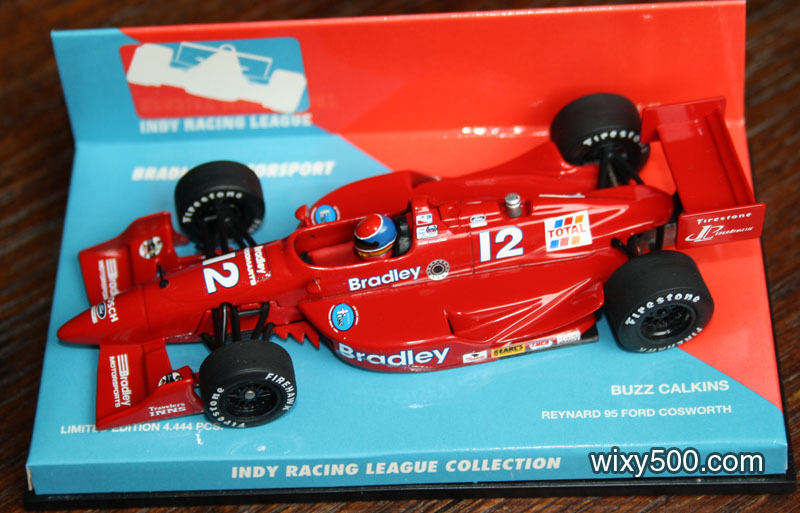 Minichamps’ Indy Racing League Collection had it’s own design insert/base cards. Assembly problem. The front suspension pushrods are not connected to anything! In fact, they are so far out of alignment, I suspect the part has been fitted backward during assembly. 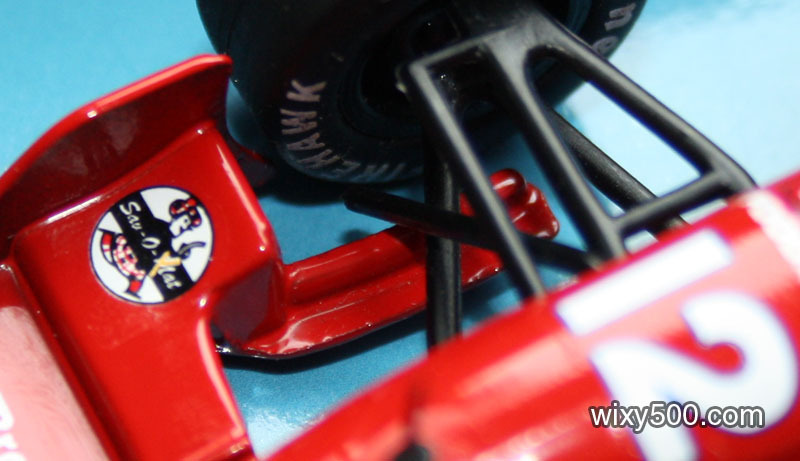 Distinctive bullet nose on the Reynards, nice scuffed tyres by Minichamps.